Properties in Sandy Point State Park average 4.8 out of 5 stars. Charming Magothy River cottage with stunning view of river. Property 11: Charming Magothy River cottage with stunning view of river. 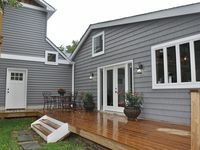 Kindred Moss Cottage: Cozy Beach Cottage: Newly Remodeled and Family Friendly! 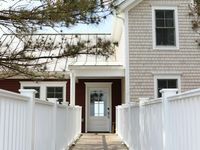 Property 12: Kindred Moss Cottage: Cozy Beach Cottage: Newly Remodeled and Family Friendly! Property 21: John Bruff Waterview Cottage - on Harbor and on Park - In Town St. Michaels! Delightful cottage on quiet cul-de-sac within a five minute walk to downtown or USNA. 2 Bedroom home has a queen and double, and 2.5 baths. Soft yellow walls in the living room and dining room compliment the lovely antiques. Property 25: Delightful cottage on quiet cul-de-sac within a five minute walk to downtown or USNA. 2 Bedroom home has a queen and double, and 2.5 baths. Soft yellow walls in the living room and dining room compliment the lovely antiques. Property 29: Stay in the HEART of Saint Michaels! New Listing 4.5 Miles From Usna, Newly Renovated Cottage Home With Heated Pool! Property 34: New Listing 4.5 Miles From Usna, Newly Renovated Cottage Home With Heated Pool! New Bungalow with view of South River! Property 36: New Bungalow with view of South River! Home was beautiful and in a beautiful location along the water. The layout was perfect for a group environment and allowed us to all be together in one room. Would certainly stay here again. Thanks so much for providing such a warm, CLEAN and wonderful place to stay while in Maryland. The location of the Bungalow is incredibly convenient to all areas and the view of the river was beautiful.... What more could you ask for? It felt like a home away from home. We cant wait to come back! HIGHLY RECOMMEND!!! !